Great time to grab body wash! 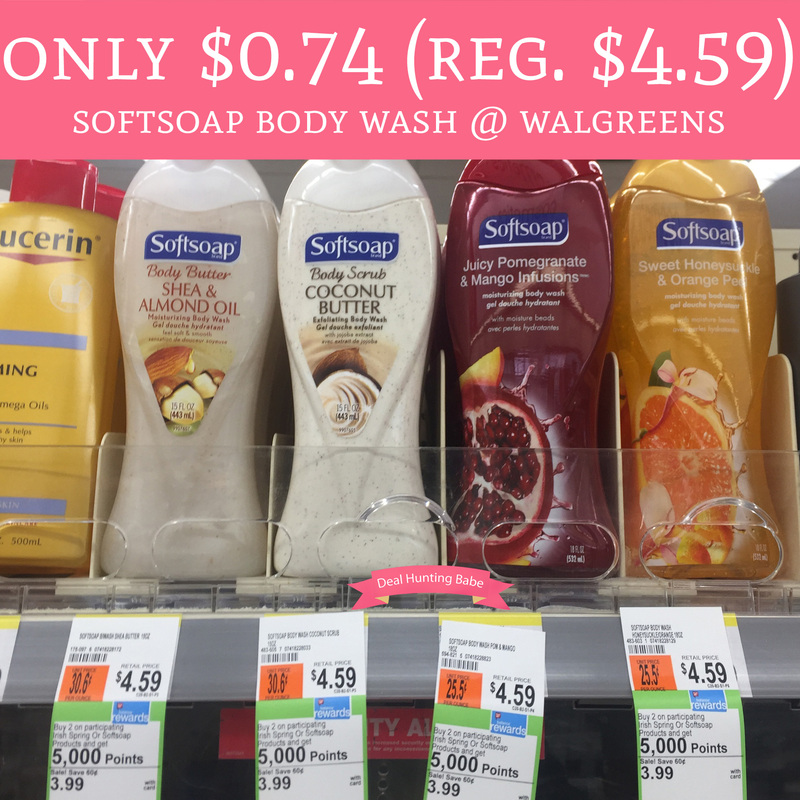 Through 5/19, head to Walgreens to score Softsoap Body Wash for just $0.74 each (regular $4.59). They are currently on sale for just $3.99 and buy 2 get 5,000 Balance Rewards Points (like $5). Adittionaly, we have a $0.75/1 Softsoap Body Wash coupon found in the 5/6 Smart Source insert to make each bottle just $0.75! Final price $1.48 or $0.74 each! !